We can all be wise in hindsight. How about being wise looking into the future? Managers make decisions every day, often several times a day. 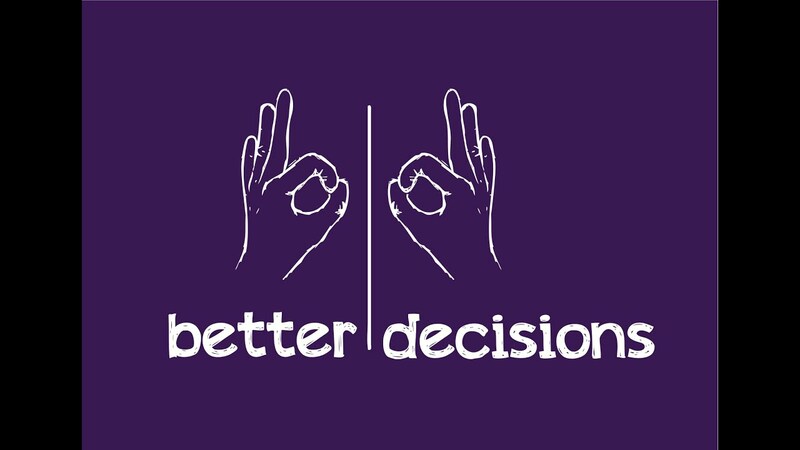 Have you ever thought how you could significantly improve the quality of your decisions? HBR editor Walter Frick has some sage advice – in three simple steps. Jimmy Cayne was the CEO of Bear Stearns and considered to be among the brightest fund managers in the world. When the first signs of trouble appeared in 2007, you would think that Cayne would be keen to address the problem. What did he do? He flew by helicopter to play a round of golf. When more trouble appeared, he went to a prestigious Bridge tournament where the rules did not permit any communication devices. For over a week, he was cut off from the world while his company was imploding. When he returned and realized that a collapse was imminent, he went to the then Governor of the Federal Reserve of New York, Timothy Geithner seeking a new line of credit. Geithner promptly declined leading to the bankruptcy of Bear Stearns. In hindsight, you would think that Jimmy Cayne would be humble in admitting his mistake. You would be wrong. Please read William Cohan’s brilliant book “House of Cards: A Tale of Hubris and Wretched Excess on Wall Street” to understand the audacity with which Cayne uses expletives to describe Geithner – a classic example of overconfidence and its consequences. In fact, the entire financial meltdown of 2007- 2008 has been attributed by many scholars to overconfidence and hubris – the illusion of control. The next time you are about to decide, and are supremely confident of your infallibility, please think again. There are many quizzes online to determine whether you are confident or overconfident. Try one of them before your next big decision. 2. Ask “How Often Does This Typically Happen?” One of the best points of take-off toward better decisions is to look at history. How often has something similar happened? For example, there is a raft of evidence to suggest that acquisitions rarely add value. Yet, large companies are fond of acquisitions because CEOs are fond of telling their board they are firmly in control and growing. Think about Microsoft’s acquisition of Nokia and its subsequent decision to write off over $7 billion tacitly admitting that the acquisition was a failure. In fact, if you look a little deeper, you can find a laundry list of failed acquisitions. We are talking about just one company. Think of the cascading effect of all the acquisitions of the last decade and the consequent value dissipation. If only we have the patience to look at data, we would find that very few (as a percent of the total) projects are executed on time, at the desired level of quality, and within budget, the three key components of any project. Yet, day after day, you come across launch dates and deadlines that are routinely missed. Nobel laureate Daniel Kahneman reveals a stunning fact – a focus group tasked with preparing a text book predicts that the project would be completed in 18 months. No such project had ever been completed in less than 7 years. The project in question took over 7 years and was never implemented. Don’t we want to learn anything from events that have occurred and thus we have precedents? It is much easier to identify a minefield when you observe others wandering into it than when you are about to do so - Daniel Kahneman. A. What is the probability of getting five Mondays in a 31-day month? If you can get both answers right without any help, you have understood the concept of probability sufficiently to start applying them to your work. Obviously, the three steps have the greatest impact when they are used together than when they are used separately. For better decisions, tamp down your overconfidence, look for precedents, and assign probabilities.